I was visiting Sophie’s blog (one of my regular stops) on Wednesday and saw that she is taking a Flat Howard with her to Africa. A light bulb went on. 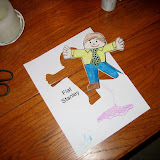 I had heard of Flat Stanley (FS) somewhere along the line (was I 6? was I 26?). But I never saw one in person until last April at the San Diego Zoo. Husband and I were visiting the camels and an older man was struggling to hold up a FS while taking his photo. I offered to hold him for the man, and he was so grateful that it was just sweet. Husband thought the guy was nuts, but I did my best to explain that FS was not a crazy man’s friend. You can read more about the original FS here. 1. My Flat Stanley likes you. He wants to hang out with other people, not just me. 2. FS likes his picture taken. And he likes stories written about himself (he’s a bit vain) and those he visits. 3. You can host my FS. Let him meet your family. Bring him on a trip. I don’t really care what you do with him as long as it’s appropriate. Leave a comment saying you’d like to participate and I will email you a copy of my FS. Or…if you want you can make your own. Anyway, either A) post photos and a story of FS on your blog and email me a link to that post or B) email me a few photos and the story of FS hanging out with you and I will, respectively, A) link to that post on FSFriday or B) post the emailed story and images on my blog on FSFriday. Make sense? If you’re lacking ideas of things to do with FS, let me know. But otherwise, he’s game for most anything: baking cookies (watch out—he steals the dough! ), bowling, trips to the shoe store…be creative! Today’s photos show FS hanging out at my home with my family. Enjoy! And remember to let me know in the comments if you’re interested in participating in Flat Stanley Friday. Hi! I came here by way of Toddled Dredge because I wanted to let you know I visited the link you shared with the american accent quiz and really got a kick out of it. I’m going to have my (southerner) husband take it who insists on speaking accentless and see how he does! Count me in – I’d like to order one Flat Stanley, please. Yesssssssssssss! *fist clenched, arm pumping action* (I’m bringing that back, you know). One taker! FS’s gonna have a blast with you, Charlie. I’ve already hosted a FS scrapbook party – so I will pass on another turn with FS. My DH took DD’s FS on his business trip to India…the pictures were hysterical. There were pictures with the 1st class passengers and FS, FS and the “bell boy” at the hotel, FS riding horseback up a mountain to see a monkey habitat. FS was well traveled when he returned to our boring life in Dallas. I have Mantha’s flat stanley hehehehe! I would love to host his cousin! We have turkey bowling tonite, he would enjoy that! Um, yes … um … is this thing on? I’d like one Flat Stanley, a side of fries and a ginormous Diet Coke, please. I adored FS as a kid! He could get under doors, no problem! Would love to take him on one of my adventures. 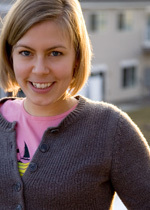 I just happened upon your blog today so therfore, I am a stranger to you. However, if you feel I can be trusted, I’d love to have Flat Stanley for an adventure with my paper shredder family. OK, I need to get in on the flat stanley action. My kids will love it. My husband will probably eye-roll but end up having fun with him too. BTW My teacher made me MUCH bigger than Flat Stanley.